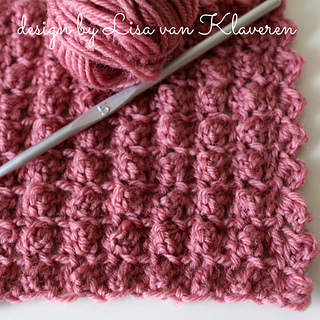 This beautiful, textured blanket reminds me of raspberries or blackberries. You may use yarn and hook of choice with this pattern and make it to any dimensions. Sample used a DK weight yarn and crochet hook size H (5.0 mm). Stitches used include - ch, cast on half triple crochet (co-htr).